For some reason they don’t have that same sparkle in her other photos from the same week. 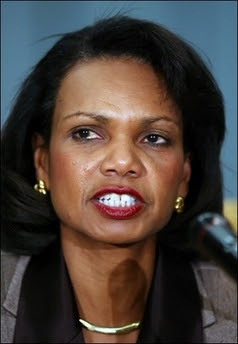 Here are Condoleezza photos from the last month from Getty Images including the vampire shot. Notice the whitening job on the last photo.